"Dear God, give me five flavors of ice cream for breakfast." "Dear God, make it my birthday every day "
Kids love the Wish-a-Prayer Machine, but why aren't their prayers being answered? 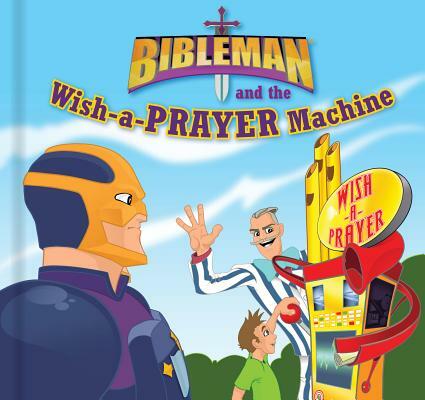 Join Bibleman and his team on a new adventure as they find the villain responsible for the silly prayer requests and teach kids about the true purpose of prayer.